Nestled off the coast of Rhode Island, Block Island is a world of its own. More than ten thousand years ago, glaciers pushed and shoved their way down the East Coast, leaving behind the rocks and soil that eventually formed this tiny paradise. With its stunning ocean views and relaxing atmosphere, it’s no wonder why the island attracts so many visitors each year. It’s a gem in the ocean and there is no island like it. 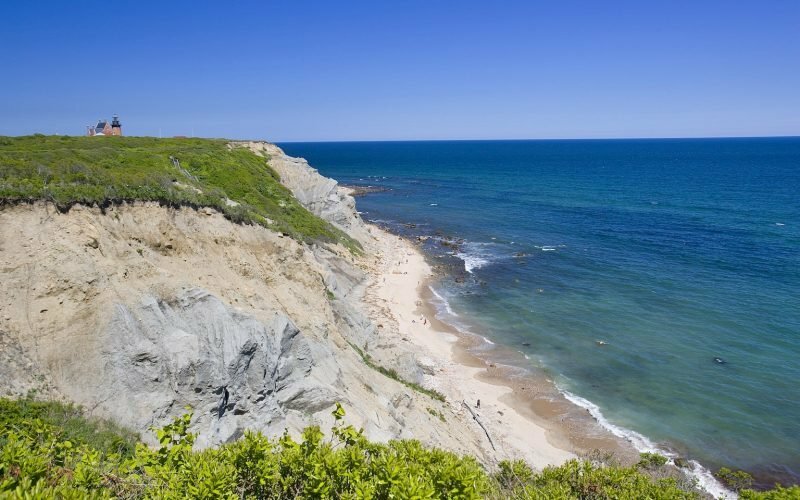 Get away with Starr and explore Block Island for yourself on our 3 day escape. With an abundance of free time, enjoy a stroll down the 17 miles of pristine beaches. If you’d like to spend a little more time on the coast, Fred Benson Town Beach Pavilion offers rentals of beach chairs, umbrellas, and boogie boards. 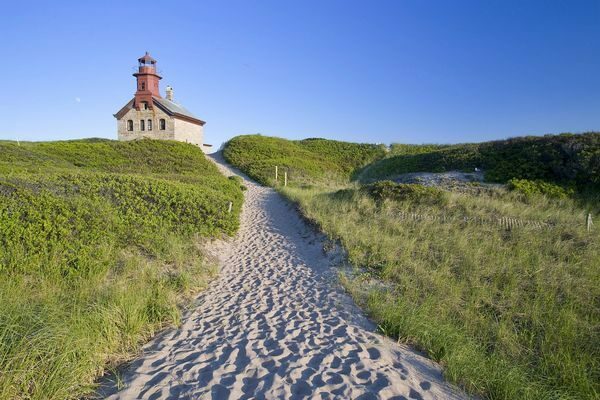 If you want to explore more of the attractions, the North and South lighthouses are breathtaking sites. For those those of you feeling a little more adventurous, you can rent a bicycle or moped to zip around and explore more of the island. There are also plenty of shopping opportunities close to the hotel featuring mostly mom and pop owned local stores with handmade and designer items, art, and more. In addition to its wonderful accommodations, you’ll enjoy a great dinner at the National Hotel on your first night there. When you get hungry later there are many other options for dining. For casual dining, we recommend Aldo’s Italian Restaurant, “Winner of the 2012 Block Island Clam Chowder Contest.” Ballard’s is a great place for “exceptionally fresh seafood” and offers a one-of-a-kind view of Ballard’s Beach. For ocean to table fresh fish, this is the place to go! If you’re looking for a more elegant or romantic experience, there are several outstanding restaurants for fine dining. Restaurant 1879 At The Atlantic Inn features fine dining at an “unhurried” pace, while taking in spectacular sunsets and ocean views. The Spring House Hotel is another unparalleled experience with pristine dining and ocean views in the dining room, veranda, or the patio. The restaurant serves fresh seafood, steaks, and vegetables from their garden. Be sure to take advantage of the beautiful “photo-op” spots when you go! Block Island has 365 freshwater ponds “one for every day of the year,” over 300 miles of man made stone walls, 32 miles of nature trails, and almost half of its land mass preserved as open space! 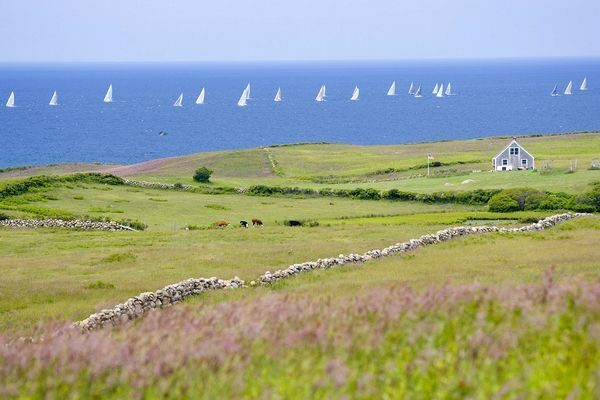 Check out the Block Island Tourism Council’s website for an abundance of information on all there is to see and do during your stay. Then, leave your watches, worries, and busyness behind and settle in to the escape that is Block Island! 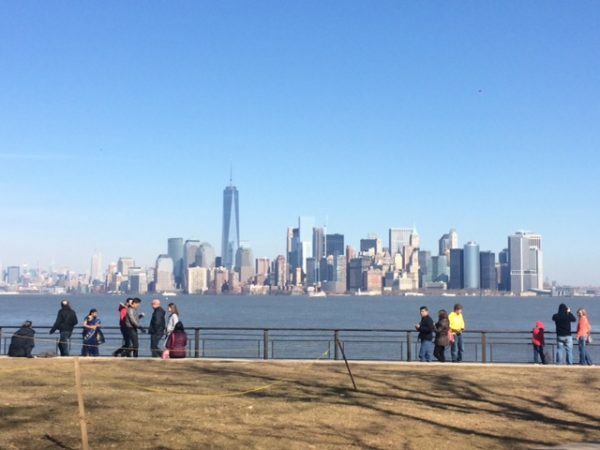 NYC Skyline taken from the food court on Ellis Island. I recommend their panninis! My husband and I recently had the opportunity to revisit Ellis Island and the Statue of Liberty this spring. We had both been there before; once on a field trip in the first grade and again in 2002 when our daughter was about nine years old. Each visit has been a completely different experience. We went to the same elementary school, but he was a few grades older than me. Ellis Island and the Statue of Liberty was our school’s standard field trip along with the Rockettes in Radio City Music Hall, even back then, believe it or not! As children we were fascinated by special treats that interrupted our daily routine. One of the comments that we often hear from passengers traveling alone on our tours is that they love to travel with us because they meet so many great people! In fact, we know of many different Starr travelers that met on tour years ago and continue to travel together to this day. While traveling by yourself may seem daunting at first, there are many perks to solo travel like the opportunity to meet and travel with great people, but still have a room all to yourself at the end of a long, exciting day. Our Tour Directors and Drivers are dedicated to caring for the safety and well-being of our passengers. After all, safety is our top priority! That means that you’re in good hands with our safe and reliable staff, but we want to make sure that you are safe when you’re out exploring on your own too. As you know, in this day and age, anything can happen during travel (or at home!) so it is always best to be prepared! Before you leave the hotel for an adventure out on the town, grab the hotel’s business card and tuck that in your wallet. This way, you’ll have the hotel’s contact information handy and, just in case something happens, emergency personnel will have another point of contact in order to help you. Make sure you ask your Tour Director and/or Driver for their cell phone number. This way you can reach them in case you can’t meet up at your scheduled time. Consider purchasing accessories to hide your valuables and never take large amounts of cash out in open view of others. Split your cash and credit cards between your various pieces of luggage so that if your wallet is stolen you still have a backup. Some accessories that we recommend are an under-clothes money belt in place of a wallet (a simple one like this will do) and a wearable USB with copies of your all of your important documents like your passport (if traveling abroad) and photo ID. If you have a smartphone, there are some great safety apps to download. “Watch Over Me” is really great one! Once you enter the app, you simply type in, “Watch over me while I…” and finish your sentence with anything like, “travel today,” and enter the time frame. The app then begins a countdown until you reach the end of your designated time frame. At that point, you let the app know that you are safe. If you do not confirm your safety by the time the counter hits zero then the app will contact your previously assigned “emergency contacts” with your GPS location. Isn’t it amazing what technology can do? Other apps to look into are “React Mobile,” and “Get Home Safe”. Apps vary on the features they include and price, so try googling “personal safety app” or “personal safety app reviews” to learn more and find one that is right for you. Also, make sure your phone is charged and carry your charger with you. There are small portable chargers that you can purchase as well to keep your phone, tablet, and everything else ready to go. When it comes to cell phones, it’s also smart to keep in mind that some areas of travel may not have service. It’s best to check your roaming capabilities before you go (especially when traveling abroad) and, if necessary, plan to purchase a prepaid phone when you reach your destination. Another great idea is to give your itinerary to a friend or family member before you leave and check in throughout your trip. Staying connected is key! Wherever you are, as cliché as it may seem, be aware of your surroundings. Do not let yourself be easily distracted by beggars or children (especially overseas) as some can be very crafty. Distractions can be used to deflect your attention from what is really happening. Though the likelihood of an unsafe experience is rare, staying smart and vigilant is key to a wonderful experience. The more you know, the more prepared you can be for your trip of a lifetime with Starr! For more safety tips, check out the websites below. What are your “go to” safety habits? There’s a reason why National Geographic listed Rehoboth Beach among its Top 10 U.S. Boardwalks. The mile-long boardwalk is a great place to view the broad expanse of beautiful beach stretched out for your enjoyment. Whether you decide to spend the day walking the boardwalk, basking in the sunny rays on the shoreline, or dining at some of the area’s most unique restaurants (or all of the above!) we’re sure you’ll agree that Rehoboth Beach is a fantastic destination! It’s sure to be a memorable day for everyone and we’d love to give you some tips for your trip. When packing for any day trip to the beach, always be sure to bring along plenty of sunscreen, water to keep hydrated. A book or magazine, a towel, and change of clothes are must haves if you plan on taking a dip in the ocean or plan to lounge in the sand. Sunglasses are always a great accessory to pack, but if you forget yours then snag some new ones at one of the many shops. Pack a small grocery bag to use for trash, and a ziplock baggie or two for seashells and other fun finds. Some other handy items: antibacterial wipes, band aids and antiseptic, insulated cooler bag, and snacks. If you’re worried about your valuables, try hiding them in an empty Pringles can, chapstick, deodorant, or sunscreen container, or even a rolled up diaper (this last one is almost guaranteed not to be messed with, just make sure no one accidentally throws it out for you!). Also, consider bringing a travel size bottle of baby powder and baby wipes (you’ll see why in the next paragraph!). Things not to bring: glass bottles, and alcohol as these items are prohibited on the beach. Keep in mind that if you plan to change clothes while at Rehoboth Beach, public restrooms are available, but shower facilities are not. Here’s where the baby powder comes in! Did you know that baby powder can help remove that pesky sand from your body? To make it work, make sure your limbs are mostly dry before application, otherwise you’ll end up with a white sloppy mess. Once you’ve toweled off or air dried, sprinkle the baby powder on your hands and feet and gently rub. The sand should come right off. Follow up with a quick swipe of a baby wipe to remove excess powder and you’re good to go! When the “hunger bug” strikes, there are a variety of options for dining. If you’re in the mood for Mexican, Mariachi Restaurant has rave reviews and is only half a block from the boardwalk. Mariachi boasts of all the standard Mexican goodies while tossing in a few specials – which, according to reviews, are always winners! If you’re looking for something a little more upscale, 99 Sea Level in the Marriott Bethany Beach Ocean Suites is on the boardwalk and offers raw bar and seafood. The venue opened nearly one year ago on July 23, 2015 but has already established an outstanding reputation with its fabulous food and views from the attractive glassed building. On a bit of a budget? No problem! Coastal Living recommends Nicola’s calzones. Also located on the boardwalk, CL says that you can’t go wrong with the Nic-O-Boli, one of Nicola’s infamous calzones. Once you’re fueled up and ready to go, be sure to stop by the many great shops the boardwalk has to offer including Dolles Candyland, a Rehoboth staple since 1926! Then, stroll down Rehoboth Ave. to browse a variety of unique shops like the Spice & Tea Exchange, Browseabout Books, Sea Finds, and more! Starr has two upcoming trips to Rehoboth Beach, one on July 27th and the other on August 10th. 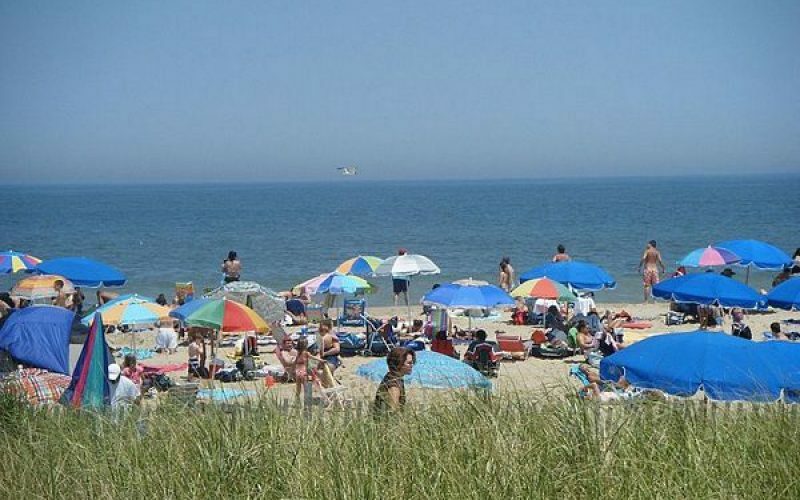 Pack your bag and get ready for the perfect day trip to the beach at Rehoboth! What are your beach day must haves? 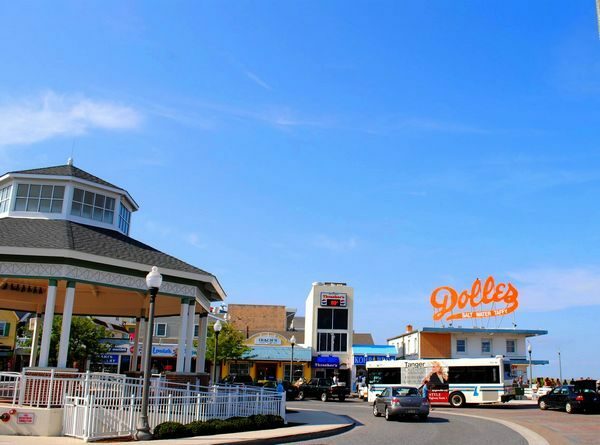 Have you been to Rehoboth Beach? What are your favorite places? Leave us a comment in the comments section! It’s always exciting planning the perfect summer trip with your little ones. You found the best deal, maybe bought some snazzy new clothes for your getaway, and now it’s time to prepare the kids for the adventure! You can tell them all about your bus trip: your chosen destination, the fantastic sites you plan to visit and new cuisine you plan to try, but be sure to let them know what they can expect during travel too. When you start packing for your bus trip, don’t forget to pack for the bus ride! If you keep your child entertained with an iPad or phone, always make sure that it is charged and ready for a long drive. Some stores even sell iPhone cases that charge themselves when the battery dies. Other options to keep your children entertained are workbooks with word games, coloring books, or something fun to read. Personally, I remember having a ball with disposable cameras when I was little! It’s a great idea to purchase a few for your kids to capture their own memories. Packing some healthy, non-perishable snacks like nuts or dried fruit can help when those little tummies start getting hungry too! It’s also a good idea to bring plenty of water and a change of clothes (for the wee ones) in case an accident happens while on board. Another idea, either before the bus trip or on-board the bus, would be to get your kids excited about the destination by showing them pictures, brushing up on history, or exploring websites. Many websites and attractions have a kid’s section with things to know or check out. Showing this to your children on the way to your destination could spark an immediate interest and build their excitement before your arrival. The night before you depart, you’ll want to make sure your family gets plenty of sleep. Traveling can really take a toll on your body – little ones, especially! – so it’s important to start your trip well-rested. Pre-trip prep is key for a happy, relaxing ride. 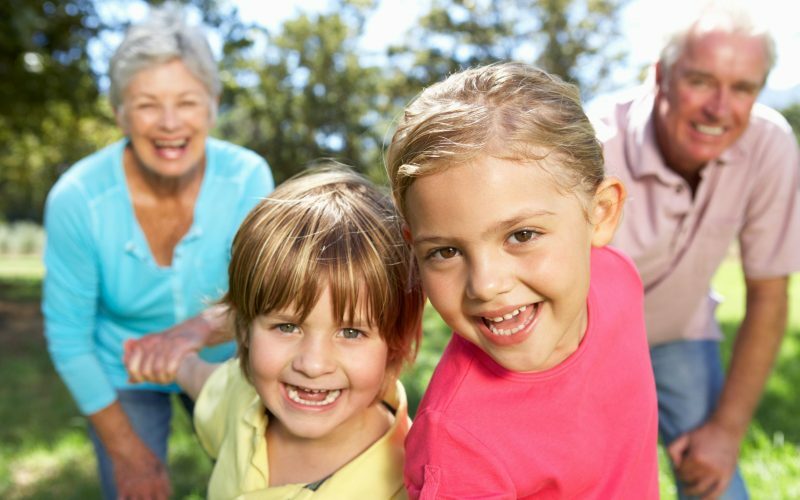 Make sure that your children know what they can expect when traveling via motorcoach. Take a potty-break before arriving to the pick-up point. Let them know that there will be lots of other people on the coach so it’s polite to use inside voices, remain quiet when announcements come on from the Tour Director and/or driver, and stay seated for safety. Safety is our top priority at Starr and we wouldn’t want any of our tiny travelers to get hurt! You can always count on our destinations to be fun and thrilling, but the adventure starts before the bus even departs. Kids thrive on the excitement of their parents and traveling companions, so the more you know and prepare them, and the more excited you are, the better the trip will be for everyone! Planning and preparing early makes for less stress leading up to the trip and it’s sure to give your kids something to look forward to. We can’t wait to have you on board!